Come join us to see some units for sale. No obligations to join our tour. Contact me for a schedule of our North York Condo Tours. 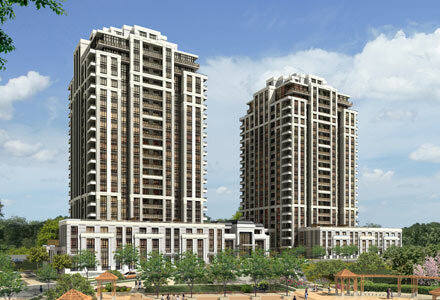 The Avonshire Condominiums by Tridel is located on the East side of Yonge Street south of Sheppard Avenue. It is within walking distance to amenities on Yonge Street and the Sheppard Subway Station. This is a brand new building with upgraded materials. High end finishes are in every suite. Most units have 9-foot ceilings and ground floor units have 10-foot ceilings. The 2-storey lobby is impressive with a range of amenities like an indoor swimming pool, sauna, fitness centre, aerobics room, billiards room, outdoor terrace, party room, theater and meeting room. Guest suites are available for visiting guests. One Bedroom units start at $339,000 for sale and $1,450 for lease. One Bedroom + Den units start at $344,000 for sale and $1,550 for lease. Two Bedroom units start at $460,000 for sale and $1,900 for lease. Two Bedroom + Den units start at $550,900 for sale and $2,500 for lease. Please contact me to obtain the MLS listings or to view any of the units at Avonshire Condos for sale or for lease. If you prefer a to buy a new construction, please see my blog post about Aristo @ Avonshire by Tridel. Categories: Deal of the week, North York Condos | Tags: 1 bedroom new condo north york, 1+1 condo north york, 100 harrison garden blvd, 100 harrison garden boulevard, 100 harrison grdn blvd, 17 Church avenue, 2 bedroom new condo north york, 2+1 condo north york, avonshire tridel, kirby chan, kirby chan keller williams, north york condo tours | Permalink.